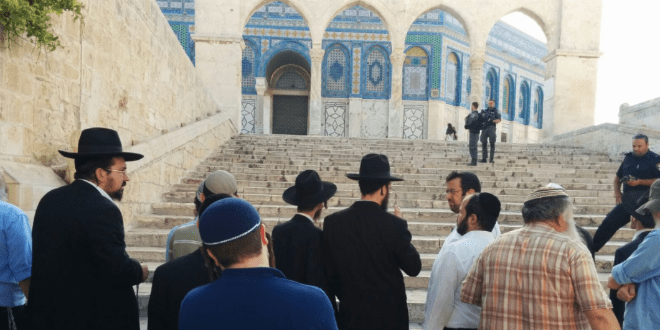 After Temple Mount ‘Victory,’ Arabs Set Sights on Western Wall - Breaking Israel News | Latest News. Biblical Perspective. Palestinians and Arab MKs declared ‘victory’ Tuesday as Israel reversed security measures at the Temple Mount, and said their struggle for control over the compound also extends to the Western Wall. MK Taleb Abu Arar (Joint List) stressed that “Jews have no rights at al-Aqsa Mosque,” and added that Muslims’ fight against Israel would continue, regardless of the cabinet decision to remove metal detectors from the entrances to the Temple Mount compound. 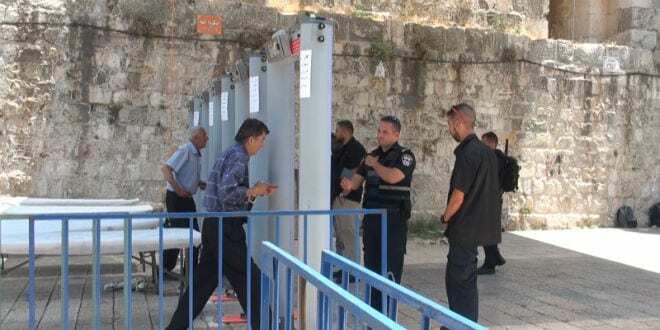 MK Masud Ganaim (Joint List) said the decision to remove the metal detectors, placed at the site following the murder of two policemen on July 14, was a “victory for the Palestinian public’s struggle and the demonstrations. “It was a victory for the steadfast religious leadership and a victory for the political leadership in Jerusalem,” Ganaim said. Ganaim’s declaration of victory closely matched views on the street in Palestinian cities in Judea and Samaria. 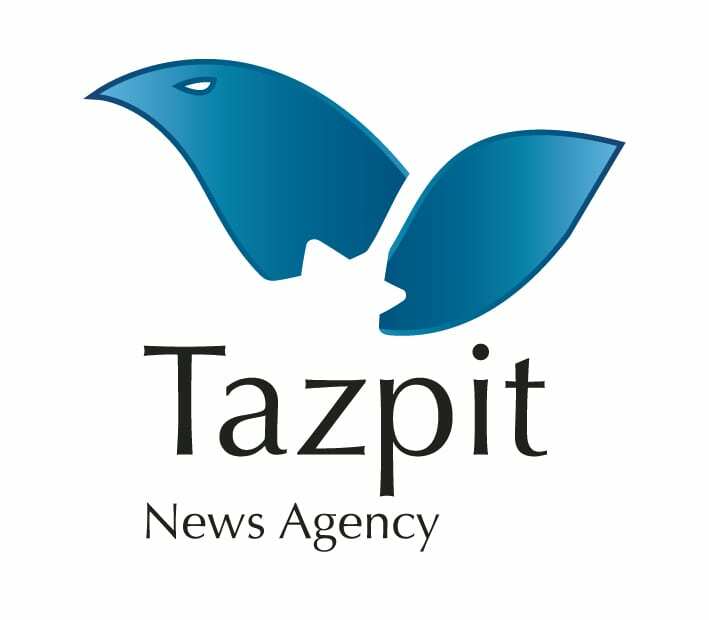 One resident of a refugee camp south of Jerusalem told Tazpit Press Service (TPS) that Arabic-language traditional and social media were abuzz with the “triumph” over Israel. “People saw the magnetometers as the beginning of Jewish dominance of al-Aqsa,” said a second source, who also spoke on condition of anonymity. Muslims consider the Western Wall to be the site where Mohammed tied his horse, Buraq, before ascending on his “Night Journey” to the heavens from “the furthest mosque”, which many Muslims identify with the al-Aqsa Mosque on the Temple Mount. However, Islamic scholars trace the connection to Jerusalem to a politically-motivated Islamic sect which controlled the Islamic world about 50 years after Mohammed’s death. Wanting to offer an alternative location for Hajj, the Islamic pilgrimage, after a rebellion in Mecca, the sect “moved” the original mosque referred to in the Koran, which was located between Mecca and Ta’if in the Arabian peninsula, to Jerusalem. In fact, until recent history, he added, most Muslims did not view Jerusalem as particularly important to Islam. He referred to Grand Mufti of Jerusalem Mohammed Amin al-Husseini in the early 20th century, who published a guide to the Temple Mount stating plainly that the site was the location of Solomon’s Temple. Andrew Friedman is a writer for the Tazpit Press Service.